Developing software and websites is a challenge, even for the best teams. Even if you have a team who can write clean code and solve problems, achieving the result — a finished product — isn’t something everyone can do. One of our team members at Imaginovation recently compared some of our work to shooting clays. To which we queried: how does that work? 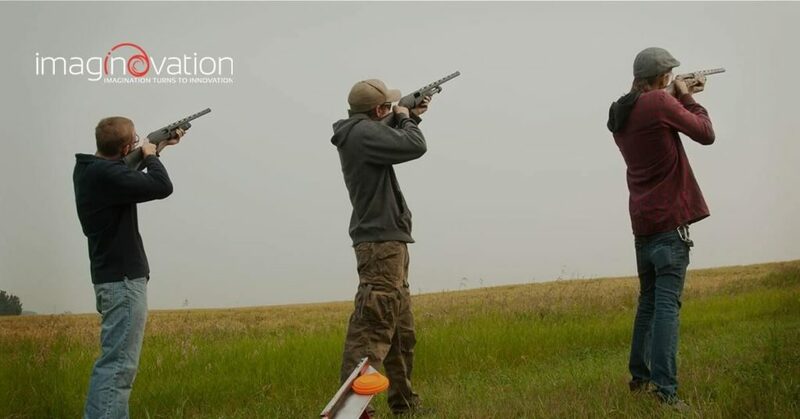 First, the sport of clay shooting is a modern version of the great pastime of shooting pheasants and game birds. Royals and others would target hundreds of raised birds in a day. According to the Washington Post, trap shooting with live pigeons started in the U.S. around 1825, and official matches sprung up shortly after. Later, it became more economical (and eco-friendly) to shoot other things. Americans led this effort, developing glass balls containing feathers, then clay targets for trap competitions. People soon built a mechanical means to throw the clay birds. Today, around 5 million U.S. residents ages 6 and older shoot clays. The sport of clays is played in two different ways. In the first, a shooter will yell, “Pull,” prompting the mechanical device to throw the clay “pigeon.” To shoot the clay, one must anticipate where it is going, shooting where the clay will be — not where it is. If one tries to shoot by following the clay, they will miss. In a more advanced version, the machine throws one or more clays at the same time, usually one low and one high from opposite directions. The shooter must be fast to hit both before they move out of range or fall and break on the ground. When competing, the shooter with the most clays hit in a match wins. On the surface, this sport has little to do with coding and software development. But we have found a few lessons from shooting clays that apply at work. 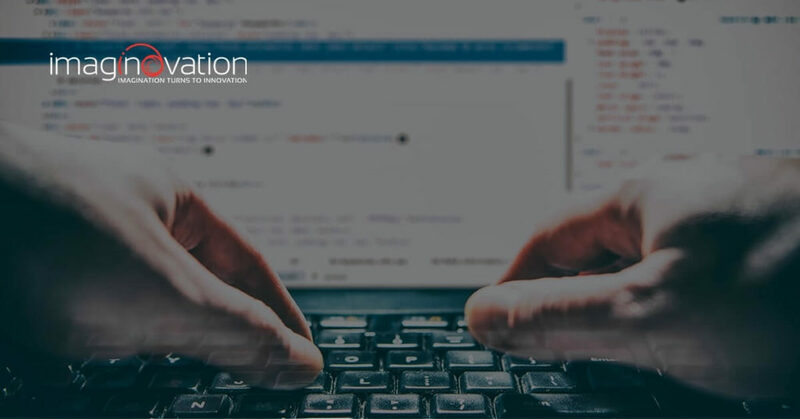 Foresight – Software development requires a significant amount of understanding where things are going, both on an industry level and for each project. On the project front, developers must anticipate where the project is going. They must work ahead of the project while working on the now, just as a clay shooter must think ahead as he or she points to where the clay is sailing. Following a Non-Linear Path – The clay moves in an arch, as do software projects. At the start of a new development project, everyone knows where the project is. After launch, the project isn’t linear. Everyone involved must understand the shape of the arch and the speed of the project, just as one would watch a clay as it flies through the air. If the team knows how to keep up and predict the path, they will finish the project. Otherwise, they will miss, and the project comes crashing to the ground. Changing Environments – In clay shooting, you change stations. The weather and wind are always changing as well. Adaptability is critical when developing software or websites because the web is always changing, too. Plus, a project may change as the leaders request additional features or alter the plan due to unexpected occurrences in coding. We must respond to the unplanned, act on opportunities, and turn challenges into opportunities. Experience – Novice clay shooters are expected to hit five to eight of 50 clays. Clay shooting is that difficult. In web development, there is a trend toward less experienced developers building sites based solely on how it looks. Products such as WordPress and other point-and-click platforms allow non-technical people to glue together a great-looking website. You can even add e-commerce and user systems with plug-ins. However, the problems arise when it’s time to expand, add features, or scale. In most cases, these sites have troublesome security issues as well. Master clay shooters are expected to hit near 100 percent on a consistent basis. They have learned what does not work by becoming experts at the fundamentals. The same is true of great web developers. They understand the HTTP protocol, how servers work, the means web browsers use to convert binary data into a visual page. In so doing, they can build a website that not only looks good but is secure from most threats, capable of natural expansion, and able to scale without changing the code. Fit – In sporting clays, gun fit is paramount. A poorly fit gun makes the task extremely difficult. If the length of pull is slightly too long or short, the recoil can be painful. The gun must be near perfect so a person can practice hundreds of shots at one time. The same holds true for software teams. It is essential that the software team features experts in all areas of the web development process, including architecture, design, front-end, back-end, and network administration. Leave out any of these, and the process becomes painful; key areas are never addressed. When all of the team work together well and have the required expertise, the entire project is much faster with a much higher quality of deliverable. 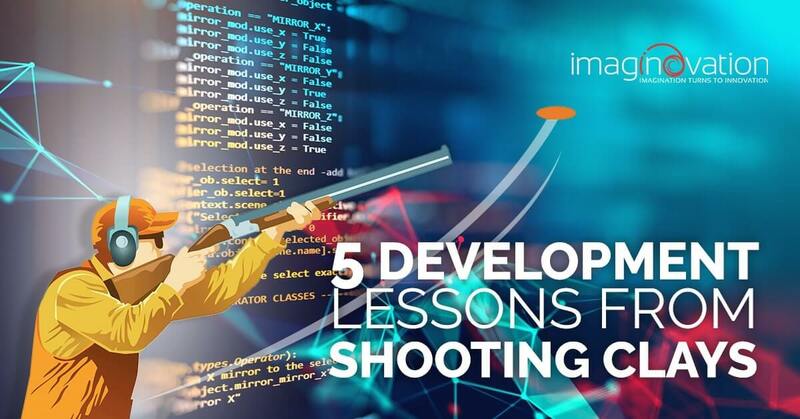 We look for lessons everywhere we go, and shooting clays feels a lot like our Agile project development. Talk to us about your next project, and we’ll help you follow the non-linear path so you can achieve the product you envision.